Kie-sha was born in New Jersey and has been a traveler her whole life. 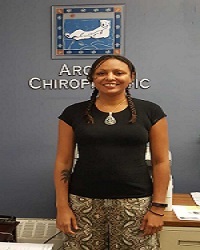 She attended Pacific College of Oriental Medicine in San Diego, California where she studied massage therapy with the goal of pursuing a career that would combine her love of helping people and traveling. She has traveled around the United States with her dog, Noah. When she is not working or traveling, Kie-sha enjoys hiking, cooking, photography, and learning the ancient history associated with the areas she adventures too. Kie-sha is friendly, outgoing, and always up for a new adventure wherever the path may lead.